 This part-time recruitment is being held to fill several vacancies in the Sheriff's Office to act as Bailiff's in the Superior Courts of San Joaquin County and to establish a referral list to fill future vacancies. Patrols County areas and enforces laws; checks homes, business establishments, schools and other features of the area for crime, suspicious circumstances and hazardous conditions; operates electronic communication equipment and responds to calls to preserve the peace and enforce laws to improve effectiveness and meet community needs; apprehends suspects and renders assistance; obtains statements and information. Learns to and conducts investigations of complaint and criminal violations; gathers, maintains, and protects evidence; interviews victims, witnesses and suspects. Learns to and performs coroner duties including, identification of decedent; identifies and notifies next of kin; routine inspections of bodies involved in traumatic or unexpected deaths as well as the scene of the incidents; maintains and protects property of deceased persons. May supervise inmates in a variety of activities at detention facilities. Services as bailiff, maintains security of and order in the court and removes disorderly persons when necessary; provides for security and safety of judges, jury deliberations, jurors, and the public; provides security and transportation of inmates to and from courts and other locations as required. Serves and executes civil process. Patrols County waterways in boats; responds to and investigates reports of law violations and accidents; issues citations and makes physical arrest. Testifies at hearings and trials. Prepares incident, arrest, investigation and related reports. Administers first aid and cardiopulmonary resuscitation (CPR) as required. Education: Graduation from an accredited high school or possession of a General Education Development certificate (G.E.D. ), or have attained a two-year or four-year degree from an accredited institution. (4) Meet physical standards established for safety members. Licenses: Possession of a valid California driver’s license. Certificates: Possession of a valid POST Basic Academy Completion Certificate issued by the California Commission on Peace Officer Standards and Training. Applicants who, at the time of application, meet all other requirements and present satisfactory evidence of current Academy enrollment (generally a letter of attendance signed by the Academy Director) will be accepted to the examination process but must complete the Academy training and provide a copy of the POST Basic Academy Completion Certificate prior to appointment. Law enforcement practices, procedures, and resources; laws and ordinances of federal, state, and County general law enforcement; guidelines pertaining to police confidentiality; patrol and investigative practices and techniques; departmental policies and procedures; principles and methods of interviewing and interrogation; sociological concepts and communication skills in dealing with a diverse population; self defense tactics; procedures and laws governing obtaining and preservation of evidence; methods of personal identification used in law enforcement; principles of normal and abnormal human behavior; community public and private agency resources; public relations techniques; first aid and cardiopulmonary resuscitation (CPR); use and care of firearms; police report writing techniques; basic computer and modern office automation technology and pertinent software programs. Understand, interpret and apply laws, regulations, and ordinances related to law enforcement; enforce laws and ordinances; evaluate situations and determine appropriate courses of action; be honest and tactful in both pleasant and unpleasant situations; obtain information through interviews, interrogations and observations; record observations clearly and accurately; relate to a wide variety of socio-economic, cultural and ethnic backgrounds; physically restrain or subdue suspects for the safety of themselves and others; understand and follow oral and written instructions; communicate effectively both orally and in writing; exercise sound judgment and stay calm at all times including stressful and emergency situations; work effectively with inmates, fellow officers, public officials, general public, and others; apply proper techniques of arrest and restraint; work different shifts, weekends, holidays and extended schedules; perform duties while wearing required safety equipment; safely operate emergency response vehicles; operate and care for a variety of specialized law enforcement equipment, including firearms, restraints and tactical equipment; operate electronic communications equipment; operate basic computer hardware and software. Mobility-Frequent operation of a data entry device; repetitive motion; sitting, standing, walking for extended periods of time; driving; frequent running, pushing, pulling, bending, squatting, climbing, crawling; drag 5 to 165 lbs; Lifting-Frequently 5 to 75 lbs; occasional lifting/turning of heavy objects or people; Visual-Constant good overall vision, reading/close-up work; color perception and use eye/hand coordination; frequent use of depth perception and field/peripheral vision; Dexterity-Frequent reaching; grasping; repetitive motion; writing; Hearing/Talking-Frequent hearing of normal speech, hearing/talking on the telephone/radio, talking in person; ability to hear faint sounds; Emotional/Psychological-Constant decision making, concentration, and public contact; public speaking; dealing with emergency situations; frequent working alone; occasional exposure to trauma, grief, and death, hazardous materials; Special Requirements-Wear assigned safety equipment; work different shifts, weekends, holidays and extended schedules; Environmental-Frequent exposure to noise and varied weather conditions.